This prestigious award, endowed by the Laurie and Mike McCann Family began in 2015 and is presented annually to one of Defiance area’s outstanding citizens. A promoter (individual or couple) of the Defiance Area for at least 10 years. Active in unpaid positions in organizations providing services to Defiance County. Dave was the Defiance County Sheriff from 1985-2016. He was the former Deputy Sheriff, Adult Probation Officer, Real Estate Agent and Appraiser, and a part-time farmer. He has been involved in Defiance Rotary Club, Fraternal Order of Police, Past President of Buckeye State Sheriff’s Association, Army National Guard, Religious Instructor, and lifetime member of St. Michael’s Catholic Church. 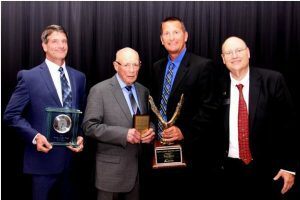 He has received numerous awards for public service throughout his career and had made numerous contributions of his time, talent and treasures to Defiance County. 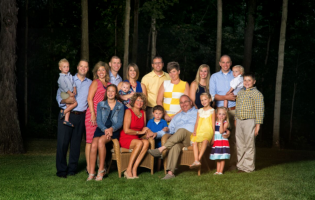 Dave and his wife Ann have one son, one daughter, and six grandchildren. Thank you to the Laurie and Mike McCann Family for sponsoring the Good Citizens Award through The Defiance Area Foundation. 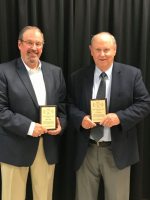 Congratulations to the 2017 recipients (L to R) John Diehl and Tom Boals for their participation in the Drug Coalition Task Force and community leadership. John Diehl moved to Defiance at age 20 to work for the family-owned Diehl Inc. Since the company was sold to Sensory Effects, he has opened Diehl Cleaning Solutions Inc., now in its sixth year of operations. He is a member of three business networking groups in northwest Ohio (and has served as president), and Defiance County Drug Task Force and an Appalachian Service Project volunteer. In the past, he has served on the board of ProMedica and Defiance Area Chamber of Commerce. He also has held volunteer positions at ProMedica Defiance Regional Hospital, Kaitlyn’s Cottage and the United Way of Defiance County. Diehl is a member of Zion’s Lutheran Church, where he served on the church council and as deacon. He visits shut-ins, administers communion, services on several church committees, drives the church bus weekly for community meals and spearhead’s Operation Christmas Child annually. He and his wife, Frances, have three children and two grandchildren. Tom Boals moved to Defiance in July 1977. He owned a truck company before retiring. He served in the United States Marine Corps and is a member of the Herman Hesselschwardt Detachment of the Marine Corps League, Zion’s Lutheran Church, AMVETS Post 1991, Defiance AMVETS Golf League and Defiance County Drug Task Force. Boals has served on the church council for 12 years, six of which were as president. Also at the church, he is a deacon, drives the church bus to pick up residents for church community meals and visits shut-ins and administers communion. He is the secretary of the AMVETS golf league and has coached Little League baseball. Boals has served on the Recovery Services board for 25 years, having been board president of many of those years. He is the paymaster of Herman Hesselschwart Detachment of the Marine Corps League and serves on the endowment committee. As a member of the Herman Hesselschwardt Detachment of the Marine Corps League, Boals received the Distinguished Service Award for outstanding services rendered with the detachment within the community in 2006. He also received the Marine of the Year award in 2007. During his tenure at Recovery Services, the organization grew under his leadership. In May, the state awarded him a Certified Ohio Peer Recovery Supporter for Mental Health and Addiction Services. The certification shows his support of the recovery process, mental health, substance abuse, trauma and other emerging issues within the recovery community. Boals and his wife, Mary, have two children, Tim Boals and Karey Schner. His stepdaughter is Julie Leatherman. He has six children and five great-grandchildren. Darrell Jones is 1948 graduate of Continental High School, 1951 graduate of Defiance College, in 1956 received his Master’s Degree from Bowling Green State University. 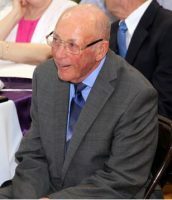 He Married Hazel Langdon 1952, taught and coached Mark Township Schools and was also the Superintendent at Central Local Schools and Defiance County Schools. Darrell Jones has been a mentor to many others in the Defiance Area. He has been a great influence on thousands of people’s lives from his education career to his political career as many of our leaders in the community have sought his council. He is a man of wisdom, common sense and a highly respected person. Mr. Jones will not tell or brag on when and where he has helped people but he has been involved with helping people his entire life. American Association of School Administrators, Buckeye Association of School Administrators, Ohio National Education association, County Township of Trustees Association, Defiance County Litter Board; member of Hicksville Rotary; Defiance County Farm Bureau; Mark Center Methodist Church. Chairman Defiance County Cancer Society; Board of Directors of Red Cross; Chairman Defiance County Board of Retardation; President United Way Defiance County; Chairman Defiance County Education Association; President Defiance County MRDD Board; Board of Directors and Chairman Northwest State Community College; Defiance County Commissioner; Chairman Maumee Valley Planning Organization, Maumee Valley Guidance Center Board Member. Hicksville Rotary Citizen of the Year 1993; Community Leadership Award Defiance Area Chamber of Commerce 1998; Defiance College Outstanding Alumni Award 2002; Honorary Doctorate of Letters Northwest State Community College; library at Fairview High School named in his honor. Darrell also has two children Scott, a retired teacher Franklin County Ohio Schools, who currently resides in Columbus and Rexann, a retired school administrator Montgomery County Ohio Schools, who currently resides in Venice, Florida with her husband, John. Darrell also has one grandchild Jeffrey Beverly, business CEO, resides in Denver, Colorado with wife, Melanie. We are pleased to award the 2016 Good Citizens Award to Darrell Jones.